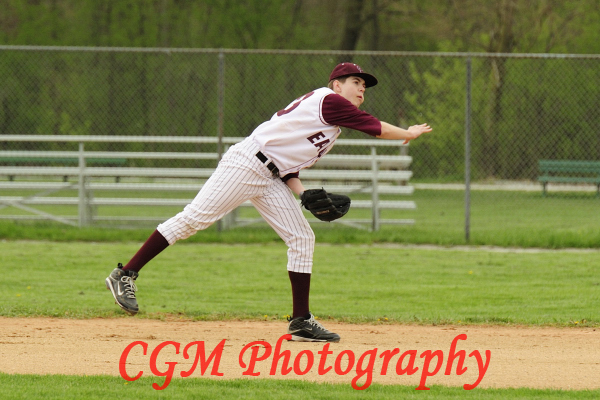 Tonight I photographed CMA’s first home varsity baseball game. Though it was only a scrimmage, it was still fun to watch. It was a good start to the season with Culver winning. 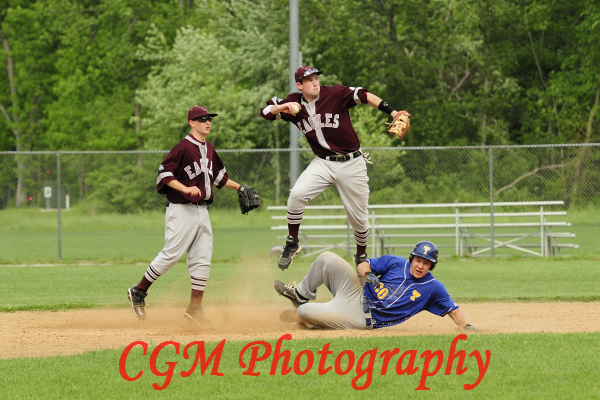 Last week, I photographed the CMA Varsity Baseball team as they continued their winning season playing against Rochester High School. When this game took place, Culver was still undefeated during the season. The kids played really well as a team and have a great coaching staff. 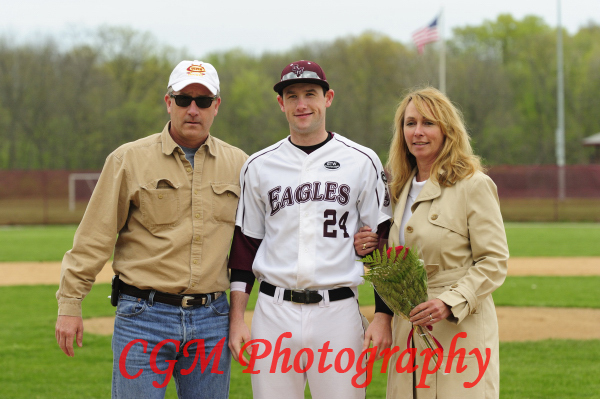 On Saturday, The Culver Academy Baseball team recognized its graduating seniors in a pre-game ceremony where the players are introduced and escorted onto the field with their parents. It is a neat tradition that I wish Culver had when I attended many years ago. On Wednesday, the Culver Academy Varsity Baseball team continued its winning streak as the team hosted North Miami High School. The game started slow with North Miami scoring the first few points. 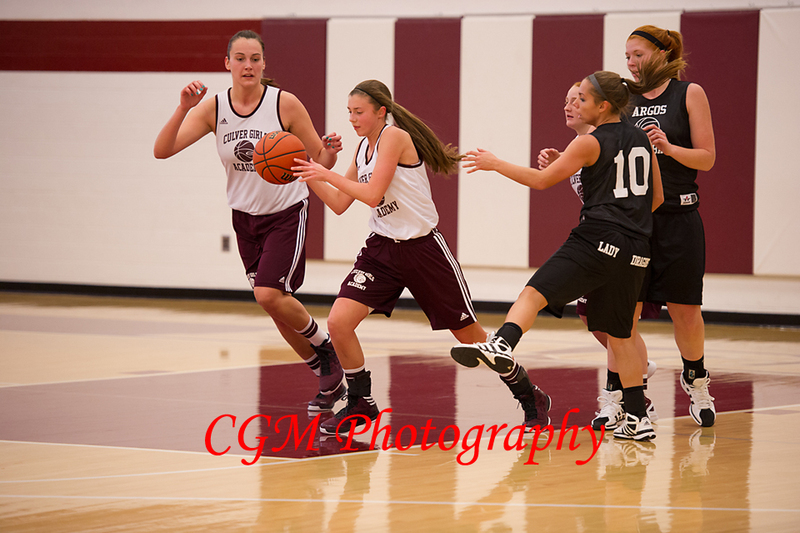 However, Culver came together and took control of the game. The final score was Culver-15, North Miami-5. 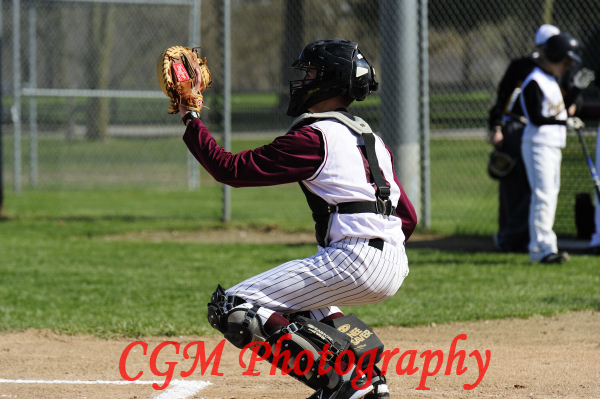 Saturday morning, the CMA JV baseball team had a long day as they hosted Knox High School for a double header played at Culver Academies. The weather was deceiving and it was much colder out than expected with the sun shining. The CMA Eagles played well and tried hard but they were no match for the experienced team from Knox. The weather has canceled so many games and outdoor practices this season that you can understand why Culver struggled in this game. 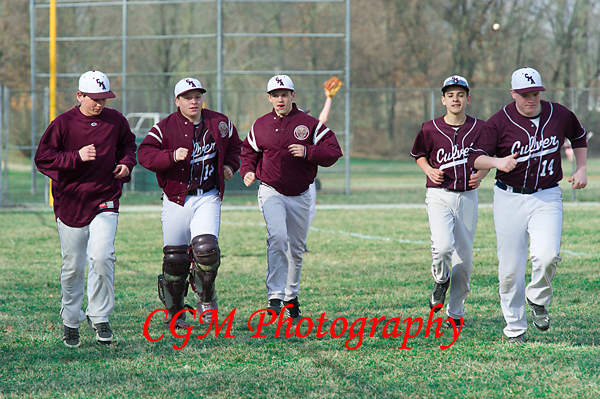 Last week, the sun actually came out for a bit as the Culver Academy JV Baseball team hosted Pioneer High School. Having the sun shining was a little deceiving as it was still very cold. I struggled to stay warm, so I’m sure the fans were cold. However, I started my afternoon shooting some of the Culver Academy’s varsity baseball team who hosted a match against South Bend Riley. I don’t know how the game ended, but it got off to a rocky start. As I’ve learned with most baseball and softball games, it started late. (If I weren’t shooting multiple events in an afternoon, it wouldn’t matter. When trying to keep a schedule and make it to other sports, games that start late limit the amount of time that I’m able to stay.) In addition to starting late, the game started with only one umpire. 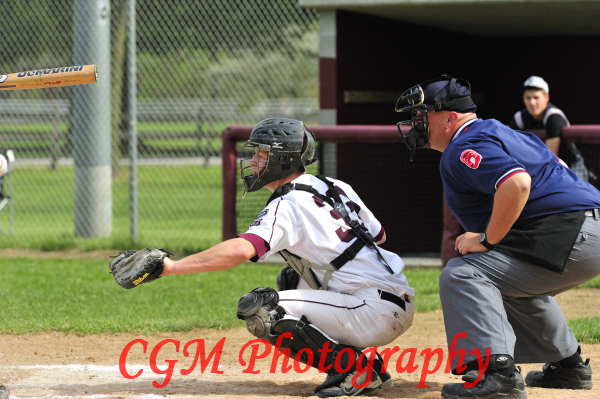 This posed a slight problem as an umpire at home plate has a difficult time seeing the action at the other bases. 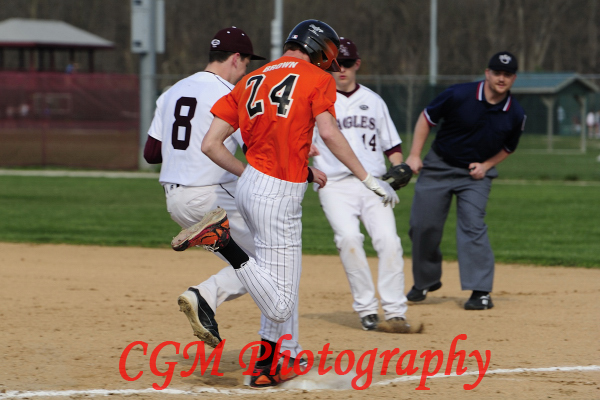 (There was a bad call at third base that I have the photos to prove. Don’t worry, though, it didn’t afect the score.) 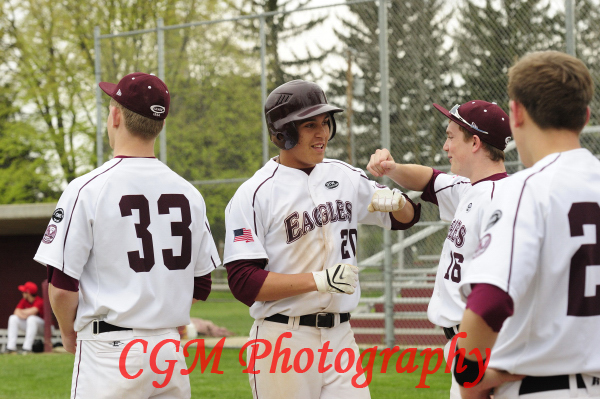 Finally, the CMA Eagles slow start allowed Riley 3 points in the first inning. I wish I could have stayed longer, but my plan for the day was to shoot the track meet because I hadn’t shot one this year. Because it started later, I decided that getting a little of the baseball game was better than getting none of it. I’ve posted some photos here. 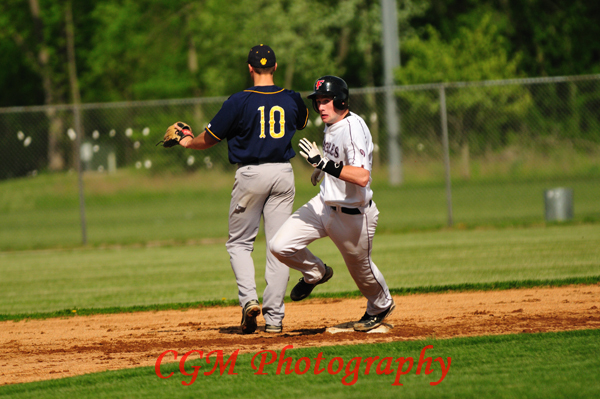 Others are at http://www.culverphotos.com/5_13_10_cmavbaseball.